With the warming up of the dams at the onset of summer, fishing opportunities pick up for Black bass, Mozambique Tilapia and Red-breasted tilapia. The majority of the dams are fishable from the shore, however one dam is only accessible by float tube or canoe as it is surrounded by reeds and has steep banks. During the summer months when streams are flowing, there are good numbers of Natal Yellowfish which migrate upstream and can be targeted very successfully on fly or with small baits fished in pools. After heavy rains, barbell can also be found swimming upstream to spawn. Fishing is done on a catch and release basis, however, should you wish to keep some for consumption, there is a bag limit of four fish per person, and only fish under 1 kg are to be kept in order to protect fish of breeding size. The price per kilogram rate applies as on the price list for any fish kept. Fishing can be done year round however the peak season is between the beginning of October and the end of November as the water warms up. Guests at Nyamazane Game Ranch can book morning or afternoon walks along trails on the Ranch. These trails are along rivers, game paths and trekking through thick forest / bush. Walks are conducted under the supervision of armed and experienced guides who have the necessary knowledge to handle encounters with dangerous game such as buffalo and leopard. The pace of all hikes will be determined by the preference of the guests and allow guests the opportunity to have unique experiences up close with wildlife, birds, amphibians and reptiles under the guidance of the rangers. Photographers have the opportunity to experience a walk and stalk shoot and get possible pictures up close under exhilarating conditions. The guides are equipped to answer questions on the wildlife and environment and always willing to help guests to ensure they have a memorable experience.The duration of the walk is approximately two hours. There are more than 250 species of birds to be seen on Nyamazane game ranch. Like the Southern Drakensberg area that is renowned as one of the top birding destinations in South Africa, you will find the Cape Vulture, Bald Ibis, Crowned Crane; smaller species like Flycatchers, warblers, chats, Woodpeckers and many more. With its diverse landscapes and different biomes, birdlife is as diverse and offers the birding enthusiast an ideal opportunity to spend hours watching birds in their natural habitat and a chance of spotting that elusive species on his list not seen before. The water birds are found nesting among the reeds surrounding the dams and rivers while birds of prey soar high in the air keeping a beady eye out for a tasty morsel to chew on. The African fish eagle is often seen hanging on the breeze while the majestic marshal eagle has his place among the trees. A bird book, software and binoculars can add to the experience so be sure to bring them and your camera along on your birding experience. Nyamazane Game Ranch was made for stargazing… Away from the city lights the night sky is strewn with fairy lights. The Milky Way seeps across the night sky saturating the darkness with glitter while the Southern Cross stands proud guiding the lost. Star gazing is an activity for the whole family to enjoy. Appreciate a guided trip where you can lie star struck under the African sky surrounded by a symphony of night sounds or simply find a patch of open sky, lay down a blanket and revel at your position in the universe. Morning and evening game drives are one of the exciting activities on offer for guests at Nyamazane Game ranch. Dawn and dusk not only offer the best opportunity to experience breath-taking African sunrises and sunsets, but is also the time at which the animals are most active. Predators such as the elusive leopard, serval, caracal and jackal are most often seen prowling around during these times and the coolness is most welcoming to some of the 30 plus game species that guests may wish to see on such a drive. The open game vehicles allow guests to get a close up experience with the animals while still maintaining the safety at all times. The drives are conducted by experienced and knowledgeable guides who have a passion for wildlife and the fauna and flora found in the area. Wildlife photographers are encouraged to utilize our guides to help you get the best possible angle and birders will be taken to the best birding sites that the Ranch has to offer. Bookings are essential for Game drives. Nyamazane Game Ranch offers 4x4 enthusiasts an adrenalin pumping adventure like no other on the South Coast. With terrain consisting of mud, rocky areas, soft soil, river beds and streams, sharp inclines, slippery clay and bush covered off road routes, drivers of every level of experience have the opportunity to test their skill in some of the more remote parts of the bush. Difficulty levels and navigating challenges depend on the prevalent weather conditions. Breath-taking landscapes and game sightings only enhance the experience for drivers and their passengers. Some routes are suitable for 4x2 vehicles with diff lock, some require vehicles with low range potential and some experience, some require experienced drivers and pose a real challenge and then of course there are those that should not be attempted without equipment for recovery. Enquiries for 4x4 trips should be made well in advance to avoid disappointment. Groups are welcome. Romantic dinner by torchlight in the bush can be arranged on request as well as picnics or sunrise breakfasts. Bookings are to be made in advance so that appropriate menus can be planned. For the lovers of all things that creep and crawl, custom trips can be arranged with a guide to find a variety of creatures big and small. With the incredible diversity of reptiles, amphibians, insects, fish and other creatures, you’re sure to find something interesting. Nyamazane caters for groups and creates custom packages of activities and educational talks for assemblies of all ages to participate in. The bush creates the perfect environment for team building and leadership training. Office teams and schools are welcome. 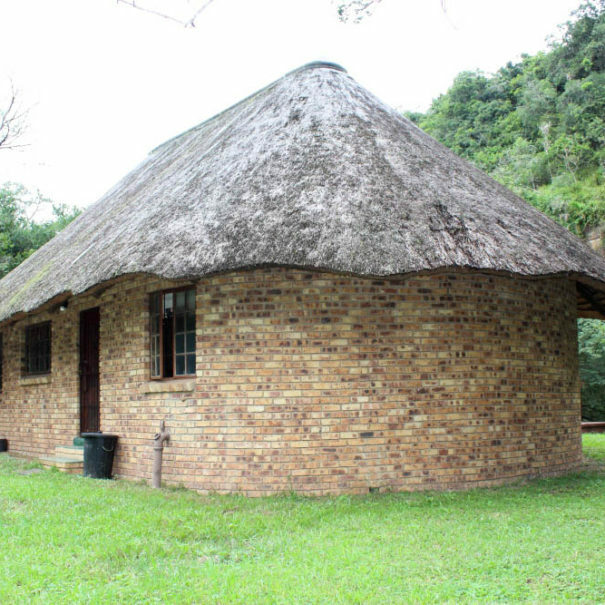 Nyamazane Game Ranch is ideally situated central to a number of areas where recreational activities can be participated in to suit the needs of the whole family. You can get the best of both the bush and the sea as shelly beach is merely 36.2 km away, Margate beach is 51.6km away and Port Edward beach is 42.4km away making it easy to take day trips to the sea for swimming, snorkelling, whale watching and even fishing amidst your bush break-away. Other activities in the area include but are not limited to: A visit to the Port Shepstone lighthouse which was built and transported from Britain in the 1980’s and lies amidst the train tracks is only 40.8km. Pure venom reptile park- 33.8km Oribi Gorge Nature reserve is 39.9km away and offers activities such as zip-lining, a swing in the gorge, abseiling, white water rafting and even paintball. Lake Eland is 15.8km away and offers activities such as horseback rides, zip lining and mountain biking. Mpenjati Nature reserve is one of Ezemvelo’s reserves and is 68km away. The Port Shepstone country club is 42.3km away and offers activities such as golfing, bowls and cricket. 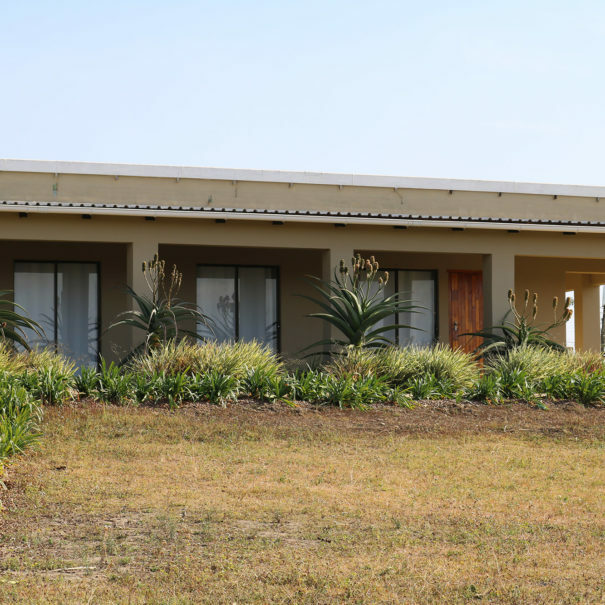 4 units, situated overlooking the buffalo breeding facilities as well as the start of the gorge.